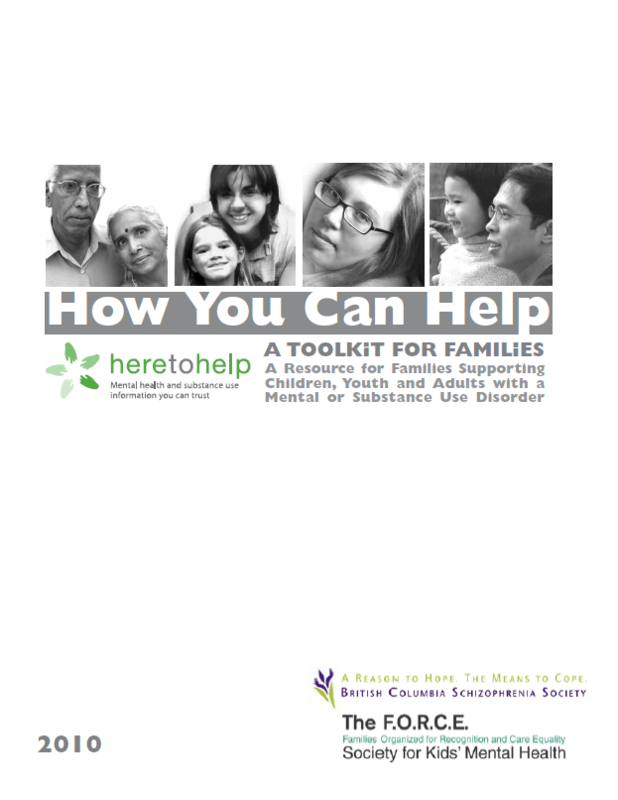 A resource for families supporting children, youth, and adults with a mental or substance use disorder. 5 modules address what disorders are, how to support recovery, skills, and how to care for them. Includes BC resources.